What IPv6 Migration Questions Would You Like To Know From App Developers? 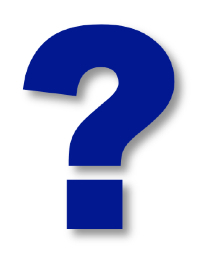 What questions would you like to ask of developers who have successfully migrated their applications to IPv6? What tips and tricks would you like to learn? How easy or difficult was the migration to IPv6 for your application? What was the most challenging aspect of the migration? Were there any specific tools or libraries that proved to be the most helpful? Did you encounter any surprises in terms of IP address dependency? i.e. places in your code where you didn’t realize you depended upon an IP address? Did you have to make any significant changes to the way you store information? i.e. configuration files, databases, etc. How did you test your application in an IPv6 environment? Does your app work in both an IPv6-only and dual-stack environment? Is there anything you wish you’d known before you started the move to IPv6? Do you have other questions you would like me to ask? If so, please either leave a message for me here on the site or on one of the social networks where I post this message – or send me an email. I would also be interested to hear which of these questions above are the most important to you. What are your top 2 or 3 concerns about migrating your app to IPv6? Also, if you are an application developer who has already ported your application to IPv6 and would be interested in being a case study in the updated book, please contact me as I am looking to get started on these updates soon. I’d like to hear from developers who HAVE NOT migrated, and the reasons they believe this is acceptable and what their roadmap is … but I might be biased just a bit. And yes, Skype’s lack of IPv6 support continues to be a big hole for those of us wanting to move to IPv6. 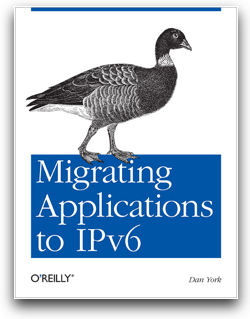 Pingback: Migrating Applications To IPv6 | New IPv6 Case Studies Out… But None From Application Developers! This server has received 4034665 hits from both ipv4 and ipv6.